Today is the last day in January, which means I'd typically be posting about the Foodie PenPal program. But alas, I did not participate this month because of all things new baby. So as I look forward to next month and my return to the program, I come to you at the end of this month with a different kind of box—a Conscious Box. Yet another awesome example of a great subscription service. You know I love me my subscriptions, and this would be no exception to that mailbox rule. What is a Conscious Box? In their own words: "Conscious Box is dedicated to introducing you to the most ethical, sustainable, and honest businesses that create the purest products available. We scour the marketplace to find those that stand above the rest." Products include, but are not limited to, organic foods and vegan personal care products. And with every box comes a healthy living tip centered around a monthly theme—yes, this is a month-based subscription service. You, of course, get to choose the terms of your subscription. Pay for one month at a time, or dive in and sign yourself up for a three- or six-month subscription. However you approach it, you won't be disappointed. I put it on top of my favorite salad, and honestly—it wasn't that bad. It actually tasted like Parmesan! 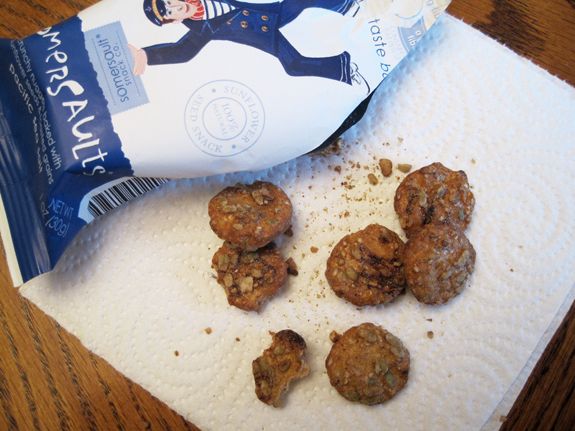 Who knew a walnut-based treat could do such a thing. So if you dig trying new things, or if you are looking for new ways to enhance your healthy lifestyle, getting a Conscious Box subscription would be a smart thing for you to do. I give 'em my Daily Dose stamp of approval! Here we are at Sunday. The end of another week, and my guess is that many of you are prepping for the new week to come. Perhaps that involves some grocery shopping. And if you're grocery shopping, the odds are fairly good that your list contains a few...shall we call them...snacks. Am I right? Am I also right that some of these snacks might not be so good for you, which is why they might otherwise be referred to as junk? If so, there's a new book on the shelf that might be of use to you. 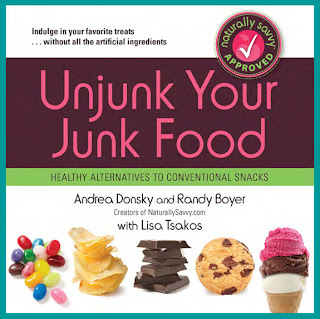 It's called Unjunk your Junk Food, by Andrea Donsky and Randy Boyer. They created a website called Naturally Savvy, which you might already be familiar with as an online guide to natural, organic and green living. 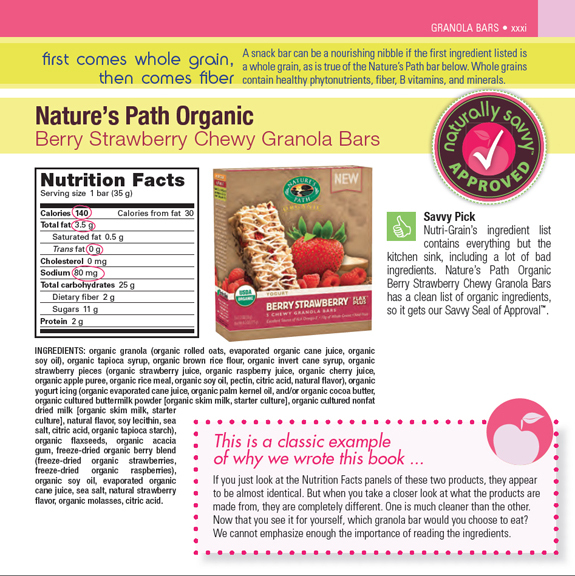 This book carries on that tradition by providing "healthy alternatives to conventional snacks." If I'm being completely honest, the concept of Unjunk your Junk Food very much reminds me of those Eat This, Not That! books. The difference? 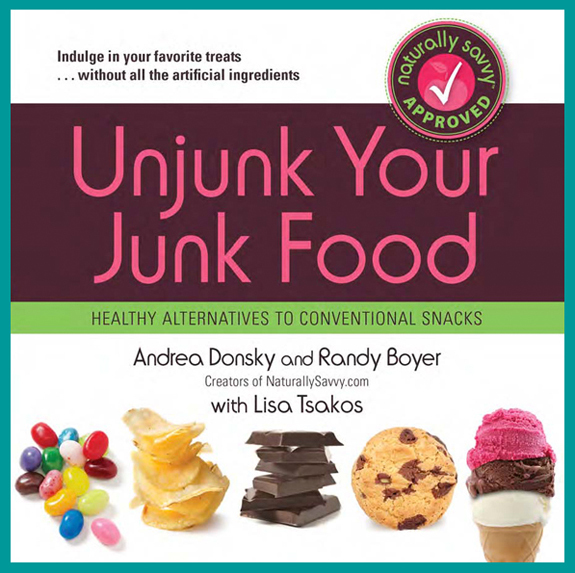 Unjunk is filled with more information and is even more focused on providing healthier alternatives that lack artificial ingredients and other nasty junk. That's not to say the other series is no good, but I'm liking this one better...well, it's not a series. But I'm hoping it becomes one. (Hint to Andrea and Randy to keep writing!) Let's dive in for a closer look. As you can see, one of the main things this book hopes to do is educate the reader about nutrition labels. They can, as shown above, be completely deceiving. 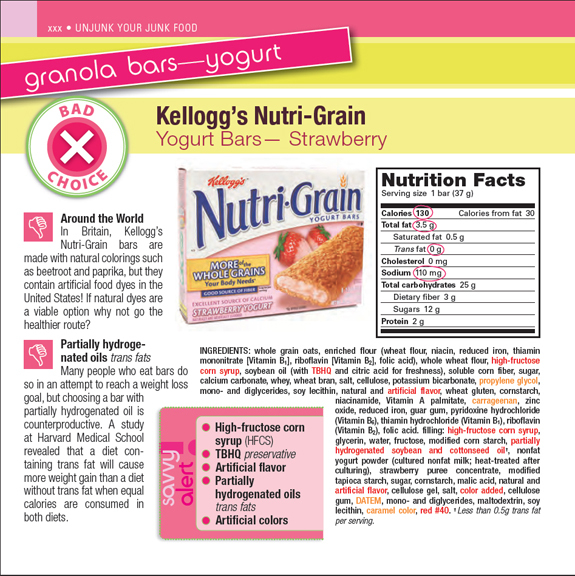 "The key is to know how to decipher the nutrition label," the authors explain. "Instead of immediately looking at the quantity (calories, fat and serving size), look first at the quality of the ingredients (nutrients, chemical preservatives, artificial additives, and food colorings)." As you can also see by the example above, it makes a huge difference. That and other facts and tips are peppered throughout the entire book. I think my only complaint about the book lies in the fact that many of the healthier alternatives are missing from my local grocery stores—and they all look so good in comparison! But, I am still able to get a better idea of what's good and what's not so good. So even if I can't buy the specific product referenced in the book, I at least know which one NOT to buy. And that, in the end, helps me pick a better option out of what's available to me. Oh, and did I mention that the book is perfectly sized for a purse or bag of sorts? You could take it to the grocery store with you if you really wanted to. Click here to download a few sample pages, then click here to purchase a copy of your own. Question: Have you replaced any standard junk foods in your diet with healthier alternatives? If so, let me know about them in the comments below. 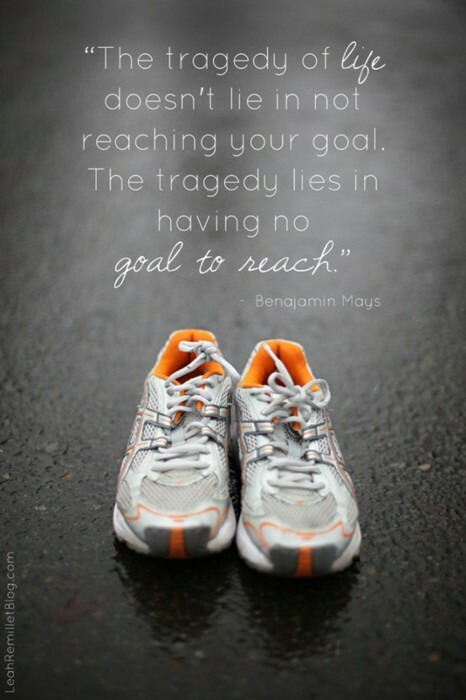 Question: What are some of your goals? As I get closer and closer to feeling like myself again after the birth of my first child, I can't help but contemplate my return to strength training. Oh, how I've missed it—it's been almost an entire month since I've touched a single weight! And honestly, it's been kinda great. I think my body is really responding to the time off. Not necessarily in a bad way, either. True, I feel like I might be losing some muscle mass. But those same muscles are getting some much need rest and relaxation. Still, I'm itching for a good workout. A really good workout. Once you strength train on the regular, it becomes such an important part of your daily life. And for good reason, too—I was reminded of this most recently by a post on Greatist. Do you follow Greatist? If you follow Daily Dose on Facebook, you've probably clicked on a few links to it as I've been sharing them almost regularly (gotta love sites with good content). I like food...but I can't get away with eating as much of it and whatever of it that I want. But when I strength train, I notice how much healthier my appetite is. Mostly because my body needs the food to function properly. All that extra work at the gym is fueled by all the eating I do at home. My metabolism is kicked into high gear, which means I'm effectively burning what I put into my mouth. I've had to watch it a little bit since I've been home with Hannah. I'm not moving as much, so I can't snack as much as I used to. Nor do I really even need to. I can't even tell you the last time I got hurt because of a trip or fall. And my labor and delivery...I like to think it went well (even though it lasted forever) because my body was ready for it. The stronger your body, the more prepared it is to face the physical challenges that life presents. Oh, endorphins! The natural happy juices that flow through our bodies after a great workout. I don't know about you, but if I go to the gym in a grumpy mood...I almost always leave with a smile. Strength training puts me in a particularly wonderful state of mind, even if the workout wasn't so great. Tell me honestly: Who needs pills when you can pick up a weight? Yeah, sure. You can hit the gym if you're bored. But that's not necessarily what this reason is talking about. Strength training shouldn't ever be boring. (Treadmills, on the other hand...) There are gazillions of ways to go about it that no workout should ever have to be the same as the one before it. That's not to say you have to make changes from one session to the next, but knowing you can makes it easier to go from one session to the next. I never dread my workouts because I am constantly switching things up. 5) "Cut down cancer risk." I honestly didn't know this, but Greatist links to a study that explains how strength training reduces oxidative stress in the body which can ultimately reduce one's risk for developing cancer. Since we know not how to cure the disease, this reason proves to be a valuable argument in favor of strength training. Be sure to check out the other 15 reasons. And if you haven't been strength training, it's always wise to check in with your doctor first. You know, just to make sure it's perfectly fine for you to start a new exercise regime. 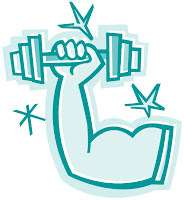 Question: If you strength train regularly, what reasons do you have for doing so? ...strong enough to complete chin- and/or pull-ups. ...a challenging (but fun) personal trainer. ...kind and merciful, no matter what. ...a blogger with something to say. ...a patient and loving mother. ...the runner I used to be. There is something so innocent, almost sweet about a baby's burp. As I pat gently on her back, my daughter will often turn her head on my shoulder and share one with my ear. Not so cute, should that same burp come from an adult. Not that I'd be patting an adult on the back, and not (especially) that I'd have one slung over my shoulder. But we as adults get lapse with our burping, letting them fly all too frequently. Just way cuter when they come from babies. And then there's the burpee. The exercise that everyone loves to hate, much like a plank. Get excited: This week's Workout Wednesday highlights an alternative to the standard burpee. All credit goes to SELF Magazine for this one, well...and Jillian Michaels, too. Love her or hate her, girl has some good exercises. May I introduce you to the lateral burpee? Great, right? What I love the most about the above is that you can do it anywhere. Exercises you can do anywhere are fitness gold—worth so much to you! Question: Did you work out today? If so, what did you do? 1) Preheat oven to 250F. Mix cashews and honey in a bowl, then spread the resulting mess onto a cookie sheet. (Cover it with parchment paper to make cleanup easier.) Roast in the middle of the oven for 20 minutes. Let cool for about three minutes. 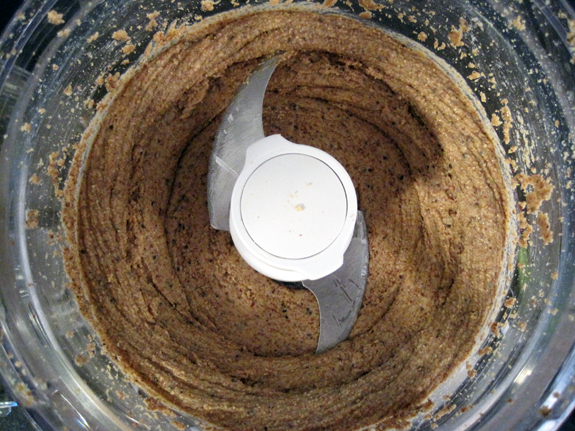 2) Put cashews into your food processor and let it whirl. This part takes some time, around 10 minutes or so. When it starts to smooth out, add the vanilla and continue to process until it reaches a consistency you like. And that's it! Store in the 'fridge. So I'm looking forward to putting these to good use at the gym. Not sure when that will be as I am still recovering (and Hannah is still a bit little to be going out to a place like the gym). Right now, I'm shooting for February 1. Hannah will be almost a month old by then, and I should be ready for some track walkin'. Nothing too crazy right off the bat. I did just give birth. These things take awhile to heal, so I've been told. And I certainly don't want to hurt myself. Question: What are you running in these days? As we near the end of the month, I can't help but wonder—how's it going with those New Year's resolutions, goals, hopes...whatever you call them. Finding great success? Finding it hard to get up off your couch? Don't despair if you fall into the last category. In this day and age, there are a number of ways to keep you motivated. And a lot of them involve the Internet or your smarty pants phone. Let's face it—if you can use both to check your Facebook status or scope out the latest celebrity gossip, you should be using both to track your health, too. Question: In what ways do you use the Internet or your smarty pants phone to keep track of your health and fitness? You might have guessed that I love me some motivational quotes. Perhaps it's the writer in me that appreciates the quality compilation of a series of words, perhaps it's the human in me that appreciates the inspiration. Either way, this world would be missing something if motivational quotes didn't exist...obviously, 'cuz without them it would mean that we as a society weren't talking or writing! 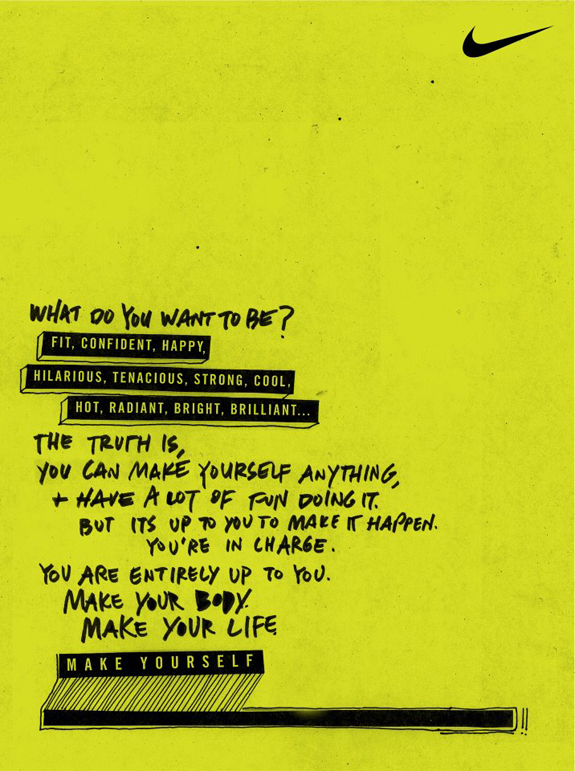 Motivational quotes make us smile. They have the power to dry tears, instill hope...they can lift us up and move us forward. They can trigger something within us that ultimately brings out the best of us. Nowhere is this more important than at the gym. And when I say "at the gym," I mean that as a general and overarching statement meant to cover your fitness goals and dreams as they pertain to your drive to live the fit, healthy life. After all, we tend to struggle in the face of chocolate and fatigue, self-doubt and disinterest. We tend to struggle because we are human. But thankfully, we humans can be very smart. 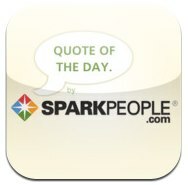 I've been finding a lot of them on Pinterest lately, but I have to say, my favorite source right now is SparkPeople's Quote of the Day app for the iPhone. Are you familiar with SparkPeople? It's an online community that offers "nutrition, health, and fitness tools, support, and resources that are 100% free." Like workout trackers and meal plans, recipes and (of course) motivational quotes. A great site, for sure. One that's readily available to you whether or not you have an iPhone. However, if you DO have an iPhone, I completely suggest you consider downloading their app. It's free! Obviously rest is hard to come by when you're living with an infant. I have to force myself to relax throughout the day. I'm just not one to stop and sit, or to stop and sleep, but I can't care for the bug (Hannah) if I'm exhausted. So I am constantly reminding myself to rest up in whatever way I can, whenever I can. Add to it that I'm breastfeeding...I guess my "crop" will be more "bountiful" if I'm rested, too. Right? You can apply the above to your life at the gym, right? Think about it. And think about downloading the app if you can. Translation? "When things are the craziest is exactly when you need to focus the most." Now, if you can't apply that to life in and out of the gym...well, I dunno. Question: Do you have a favorite quote? 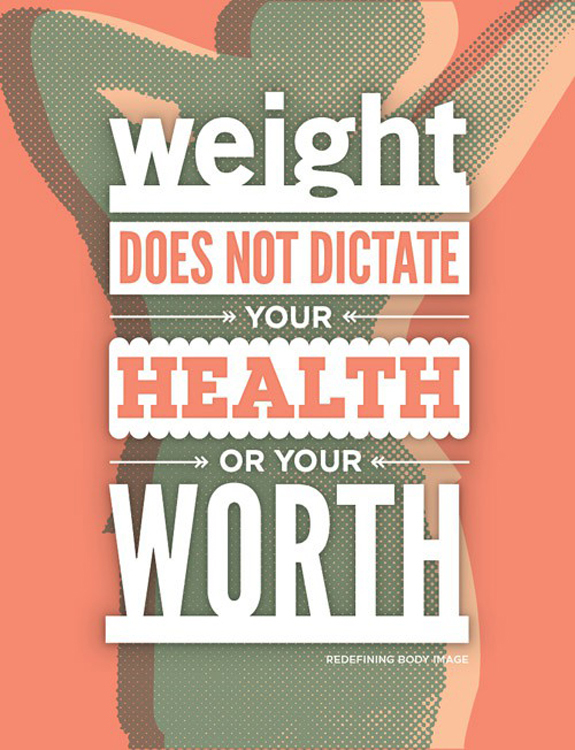 Too often, we step on the scale and feel defined by the number it displays. This is not only wrong from a physical standpoint, but from an emotional one as well. Remember that every body is different, and no number can really define who you are as a person. Nothing can define you except for you. So don't live your life according to a digit. Live your life according to your hopes and dreams, your wishes and your talents. Your thoughts and certainly your feelings. Live your life according to everything that is, most simply, you. December 28, 2011. The last Workout Wednesday I posted. Geeze, it's been a long time. Tell me you've still been working out! Lord knows I haven't been. I seriously haven't done a single thing since Friday, December 30, 2011. Unless you count childbirth, then you can bump that date up to January 3, 2012. Regardless, it's been a long time, and for this girl, that feels very weird. And even though I'm feeling loads better just two weeks later, I'm still not quite ready to hit the gym. Perhaps for some light walking, but that means I'd have to take the peanut with me and she's not quite ready for all that is the gym. So here I sit, perfectly fine relaxing. If I'm being completely honest, I think my body is loving it. After nine months of pregnancy, even a good pregnancy, I don't entirely blame it. But that's me, not you. YOU still have to work out! And I'm going to work out vicariously through you with this cable machine circuit of exercises. A circle I've built specifically to target your entire body. (I love the cable machine! For real.) But before you begin this or any other exercise routine, you'll want to make sure that all is right in your world. Consult your doctor if you need to. Equipment? Obviously you'll need a cable machine, single or double. Some of the exercises are built for a double cable machine, but if you don't have access to one you can simply do one side at a time. If you don't have access to any type of cable machine, you can get creative and mimic the following with some elastic bands and a closed door. 4) BICEPS: Curls with Twist. You'll need a double rope handle for this one. Attach it to the top of the cable machine. Grab the ends, one in each hand, standing close to the machine itself with your elbows at your side. Without moving your elbows up or down, pull on the rope to bring the handles down to your thighs, palms facing in. As you get to the end of the pull, kick your wrists to turn your palms down toward the ground. Repeat as desired. 5) TRICEPS: Overhead Rope Extension. Using the same double rope, adjust the cable machine so that the anchor point is in line with your shoulders. Start in a lunge position for comfort's sake, facing away from the rope. Reach behind you and grab the ends of the rope, leaning forward into the lunge with a straight back, elbows at your years. Extend your arms using your triceps, lower hands and repeat. 6) SHOULDERS: Adductions and Abductions. Single handle, adjusted to hip height. Pull up, turn and pull to the side, turn and (with arm outstretched), pull down. Of course, you'll want to complete all repetitions before switching positions. 7) CORE: Woodchops. Just like a medicine ball squat, but with the cable machine instead! Set up a single handle, anchoring it at head height. 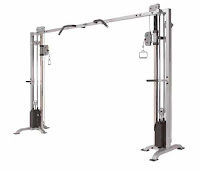 Grab the handle with both hands, positioning yourself perpendicular to the machine. Twist from the torso, bringing the handle across the body and down toward your outside hip, squatting as you go. Take care NOT to lean toward the handle—keep the move in your torso, twist from the torso to move the weights. Repeat on the opposite side to keep that torso even. There, lucky number seven exercises. Question: What's your favorite move on the cable machine? Today, I'm feeling eternally grateful for Erin. She writes Creative Soul in Motion, and this is the second guest post she's written for me...well, for you! Erin and I have never met, we haven't talked on the phone, but we're blog friends, for sure. That's what is so cool about being a blogger—you just never know who you're going to "meet." Below, she's got some great tips for you. 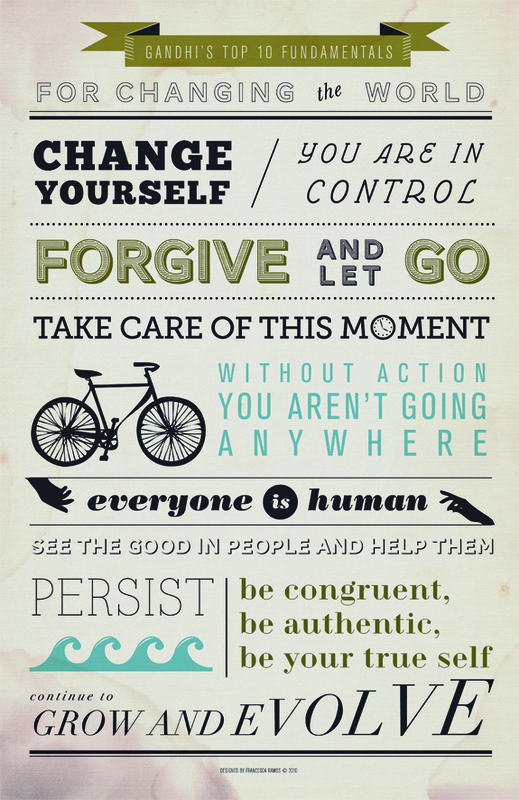 Ways to keep yourself going in these harsh winter months. Cold temps and mega winds be damned, you can still get your workout on. Even if you have to stay indoors. I used to enjoy running on the treadmill and using weights at the gym BUT then I signed up for a triathlon and spent all of the summer outside running, biking, walking, and working out. I was barely ever inside the gym and I found that I LOVED it. I loved being outdoors, exercising while enjoying nature and even enjoyed forcing myself to deal with crazy New England weather. I loved the sun on my face and the wind in my hair. But now it's getting cold. And windy. And dark. And not very nice outside. And I thought I could keep it up. I thought I could keep running outside regardless of the temperature. But I don't think I can. Or really want to. So, rather than force myself I am going to make the next few months fun while staying inside...most of the time at least! 1. Go to Classes at the gym and local studios! By far this is the best way, in my opinion, to have fun at the gym. I love yoga classes, spinning classes and strength training classes. I love classes in general. The team atmosphere, the music, the instructor, the motivation, the new moves, everything. This winter I plan on doing a LOT of yoga and spinning. I think they're a good balance. Spinning gives me a great cardio workout while yoga strengthens, balances and tones me in other ways. Option A: Treadmill Run + Abs + Arms = Every 5 minutes pause the treadmill and do exercises behind it. I do arm dips, crunches, squats, pushups and even jumping jacks! Option B: Change machines every 7 minutes. Go from treadmill, to elliptical, to stair-master and then back to treadmill. Why 7 minutes you ask? 5 minutes is too short and 10 is too long. Option C: Use weights on the treadmill BUT be VERY careful! Use them whenever you are walking at 3.6 or lower. Have you noticed a theme yet? Winter is the time to try new things! Like new equipment! Unless you're a complete gym rat, there is a VERY good chance you haven't tried all the weird, fun and useful equipment your gym has. Ever try the BOSU, foam roller, TRX suspension training, kettlebells, rowing machines, stair master...the list goes on. Ask someone to show you and give it a try! 4. Find fun ways to be active! Salsa dancing, clubbing (without the massive amount of alcohol), rock climbing, bouncing on trampolines, even bowling. They all work your body and get you up and moving so grab a friend and be adventurous! Okay, enough with the whining. Yes, I know it's cold BUT getting outside for a little while everyday is important for your sanity and your health. Being outdoors helps you connect with nature, de-stress, lower blood pressure, give your mind a break from screens and overall give you a boost of energy. So, go for a short walk, try snow shoeing (super fun) or cross-country skiing, build a snowman or go ice skating! In the end, the point is: Don't let the cold weather slow you down, instead use it to your advantage and make the most of the wintery months. If you'd like to read more about my crazy adventures, how I find balance, stay healthy and enjoy life come on over to my blog, Creative Soul in Motion, and be sure to say hello! If you follow me on Facebook, you might recall my mention of a new website that I've recently joined up with: DailyBuzz Healthy Living gathers what they call "the best of the independent web" and creates a splash page...a new one every day (obvi)...with nine posts from various bloggers. These nine posts aren't random, though. They all discuss similar topics. Like oats, shown above. Or clean eating. And if you sign up for their newsletter, you'll get the links delivered right to your Inbox for quick surfing. 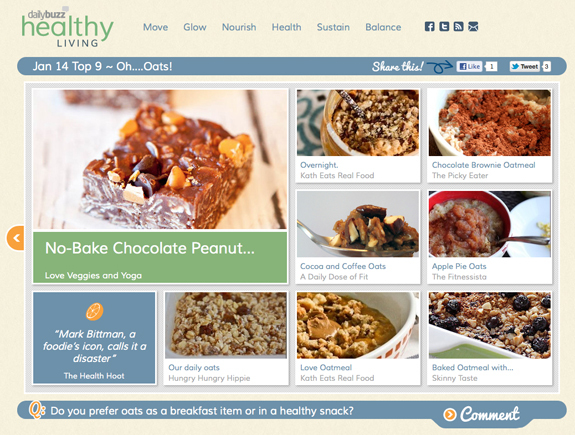 If you like reading blogs such as mine, you'll love DailyBuzz Healthy Living. Not only do they put together the top nine of the day, if you click around the site, you'll find other posts from blogs across the Internet. I, myself am continually inspired by the various blogs I stumble upon, so this is a great way for me to keep up on what's out there in the healthy living blogosphere. But I don't just read healthy living blogs, ya know. DailyBuzz also curates the following: Luxe, Moms, Style and Tech. A little something for everyone, no? Wait...spare time? What's that?! Hard to come by in this household these days. We continue to adjust to life with a baby...and we are diggin' every minute of it. Hannah has graced us with a love one can't quite describe. I can't even imagine life without her. And I certainly can't believe she was inside me. Little girl kicked and rolled her way through nine months, so there's a certain sense of emptiness that I keep feeling. I miss her little kicks, but I get to kiss her little toes now. I miss her roly poly actions, but I get to experience her snuggles now. 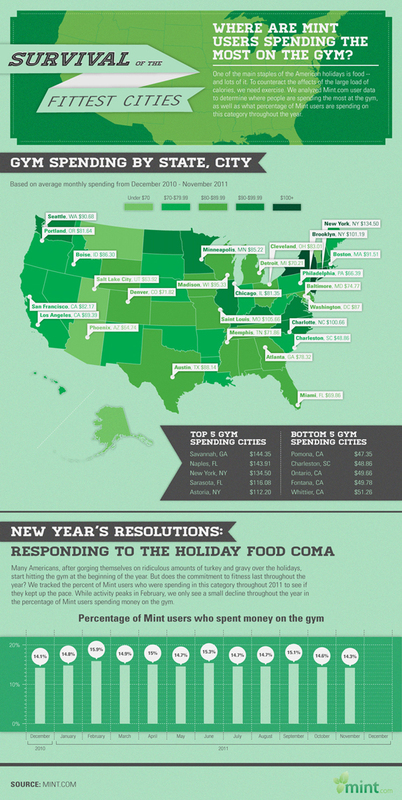 Gosh, I just love infographics. Not only are they (typically) visually stunning bouts of info, I think they truly help me process said info more than a flat page of black and white. 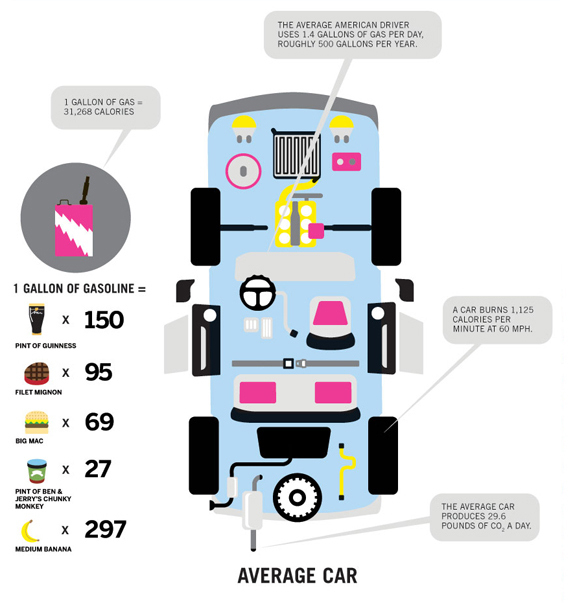 Infographics are engaging...they're like online picture books for adults. What's not to love? If you're not familiar with it (I wasn't), Mint is a financial website that "pulls all your financial accounts into one place." It's like the Google Reader of banking, but that's neither here nor there, really. All you need to know is that they gathered user data to determine where people (as in, Mint users) are spending the most on the gym. Not the most comprehensive study, I'll admit, but it's interesting nonetheless to see where costs lie across the country. I think one of the main aversions to spending time at a gym is that cost factor. And then once you're a member, there can be a chunk of additional fees. Think personal training, special classes, massages, court times...all of which you can choose to NOT pay for, but once you're in there, these things become hard to resist. And hard to afford. But still, you have to think big-picture: If, for example, one were laden with health issues, how much would one pay for health care to combat said health issues? And how do those fees compare to a monthly gym fee? And would paying that monthly gym fee and actually using said gym combat those same health issues in any way? If so, you might be saving yourself some money in the long run. No health issues? Good! Then a gym membership would truly be an investment worth making! Of course, I completely understand that certain households just can't afford it. And that's perfectly fine! But it isn't your get-out-of-jail-free card. You still have to work out. So, quite simply—stick with it. Stick with your membership. Use it. And we all love Nike, right? So anyways, take the above for what it's worth: A simple reminder that investing in a gym membership is worth it despite the sticker shock. And remember, there's more than one gym in your area (I bet), so do some research. Some might be cheaper than others. And at this time of year, I bet they're all running some specials, too! Why? Because they want you! Question: Do you have a gym membership? Do you get your money's worth? If you don't have a gym membership, is it because of the fees? How do you stay fit? 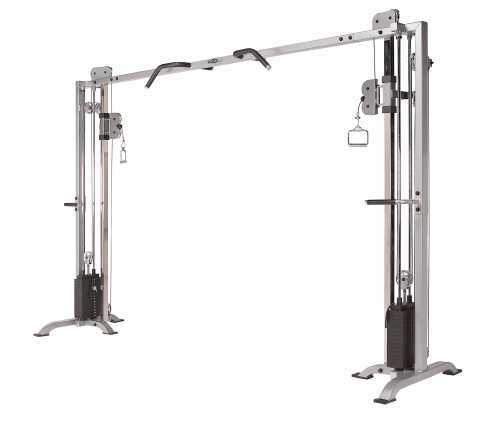 Home gym? 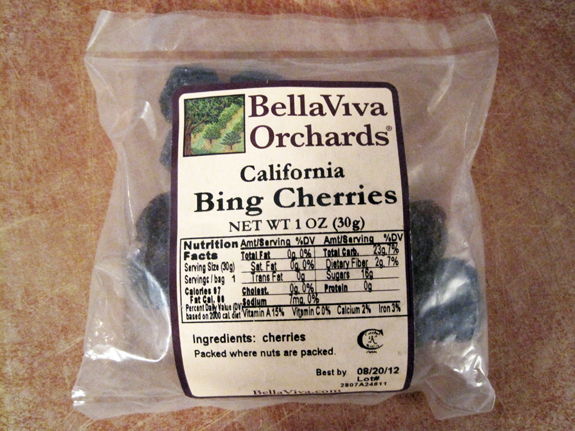 I exercised some serious restraint in an effort to NOT snack on them right out of the package—I love cherries, dried or any other, but I had a strong sense that this particular version would taste delicious all chopped up in a breakfast of sorts. And I knew just the recipe to test that theory. Hello, you gorgeous blueberry cherry breakfast burger! It's like a pancake, but much heartier...and dare I say, somewhat healthier, too? It's made from scratch (obviously), and it measures about four inches across. The perfect size, really. I give Ashley credit, she perfected the whole "breakfast burger" concept. (Although I think she refers to them as "scrambles.") I just tweaked one of her recipes to accommodate my taste buds and available ingredients. I get a lot of great ideas from her site, so if you haven't checked her out yet, please do. At the very least, you'll get some serious eye candy. Her photography is awesome. She's sort of a self-taught pro. Love (and hate) those types of people. And the cherries, which were fantastic. If you look closely at the package above, you'll notice that the sugar content is somewhat lower than that of most dried fruit. So that was love at first sight. I only used about half the package in the burger. Sometimes you gotta do that, dontcha know. You gotta read ingredients carefully to determine what exactly you are putting in your body. You never know when you won't actually need the whole bag, bowl, bottle or whathaveyou to satisfy your craving. Here's the recipe, which is perfect for a Saturday morning such as this one (if you survived Friday the 13th). Quick, easy...but super hearty and delicious. AND nutritious. You'll need half of a banana—keep the other half for the top of the burger! I also smeared a little bit of a mixed fruit jam on mine, too. Toppings are, of course, up to you. 1) Mash up the banana with a fork. Add the rest of the ingredients, then stir to combine. 2) Heat a sauce pan over medium, grease it with a little butter or coconut oil. 3) Add the entire concoction to the pan, taking care to form a burger. Let cook for a few minutes. 4) Flip and cook another five minutes. Repeat until both sides are browned. I've been eating super simple breakfasts these days. Like dried cereal and milk, or uncomplicated bowls of oats. Gotta stick to the things I can make with just one hand! I wouldn't want to drop Hannah, ya know. But you, you should make this. It's super delish, if I haven't already convinced you of such. My baby girl is keeping me up at night. Hannah sleeps for three...sometimes four hours at a time before she wakes up in search of a meal that can only come from me, myself or I. Before Hannah, one might describe me as a heavy sleeper. I'd hit the hay around 10:00PM every night and I'd be out cold until my alarm went off the next morning around 6:00 or 7:00AM. I'd wake up feeling refreshed, totally ready to start my day. "Start my day" = Working out. I credit that energy to all the zzzzz's I'd get. Sleep, of course, does the body a whole lot of good. Study after professional study has proven that fact over and over again. As we dream about all sorts of things, our bodies rejuvenate themselves. Our metabolisms get a jump start, and our immune systems check their defense mechanisms. Our muscles relax, grow and heal. All of this, from the metabolic activity to the muscular mayhem...all of it is directly related to our health and well being. Which, in turn, means that it also pertains to our diet and exercise. Sleep, you might say, is the third wheel in the diet/exercise relationship. It's like a soap opera, really. Without all the cheesy acting. Let's go through some bullet points. • The greater amount of sleep you get, the more energized you might feel. The more energized you feel, perhaps the better your workouts will be. On the flip, if you don't sleep well, you won't want to exercise—so make sure your quality of sleep is of the highest possible caliber for your very own body. • Our diet provides the fuel from which we get some of our energy. If we don't eat right, we don't have said energy which means we're more prone to feeling sleepy at odd times throughout the day—another way to kill your drive to exercise. In addition, The National Sleep Foundation reports that people who don't get the right amount of sleep have much bigger appetites than those that do (it has something to with hormones), leading to a link between lack of sleep and obesity. And if there's a strong, hormonal link like that...well, there's only so much a bout of exercise can actually accomplish. No matter how hard you work at the gym, no matter how particular you are about your diet, you must make sure that you're getting the right amount of sleep. Remember, it's the third wheel. You can roll with it, or let it drag behind—which do you think'll make it easier to move through life? Besides, someone has to get some sleep for me these days. Oh, don't worry. I'm getting enough to keep me going, but I'm certainly not getting enough to keep me going like I used to. Although I'm not really working out right now. Still not physically up for that, but anxiously awaiting the day that I am. Until then, I soak up every late-night moment I get to spend with my daughter. 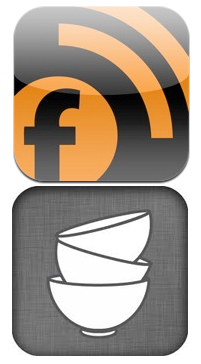 And for those moments that I just can't keep my eyes open, well...let's just say that I am very thankful for my iPhone and all of its engaging apps: Feeddler collects all of my favorite blogs in one readable location, which keeps me up-to-date on the things of this world. Most recently, I've learned that heart attacks are pretty uncommon during marathons. And that an exercise hormone might fight obesity and diabetes. I like my foodgawker app, too. It teases me with recipes for granola cups, chicken enchilada wraps and more. All of this distracts me from my sleepiness as little miss gurgles and slurps her fair share of milk. I'd hate to fall asleep on her, after all. Question: What should I add to my Feeddler? Know of any great sites that I might like? (They don't all have to be fitness related...I do like other things, ya know!) Link me in the "comments" section below. Subscriptions are all the rage, as they have been for quite some time now. From magazines to makeup, e-blasts to blog feeds, truffle-a-month and wine clubs...doesn't it make you happy to come home to these little surprises, even if you have to pay for them? I know I love waiting for the UPS guy and the mail lady. Especially as of late, since I'm not really venturing out much. Daddy took some time off this week, so we've been holed up in our little house trying to get our little one acclimated to life outside of Momma's belly. So far, things are going well. Life is extremely different than it was before, that's for sure, but the two of us are adjusting to being a "the three of us" with every new day. There are, however, certain things that remain constant. Some of which are my subscriptions. Of the magazine sort, of course. However a few weeks ago, Lollihop introduced me to their subscription service with a complimentary box to review. What is Lollihop? Food delivered right to your doorstep once a month. But not just any food: "the best healthy snacks, ones that fit easily into your life." I know, right? A deluxe subscription, that's for sure! You can sign up for a monthly service, or in 6- and 12-month increments. Regardless of the price, getting a box of healthy treats on your doorstep makes it totally worth it—especially if you have a hard time finding eats like this in your neck of the woods. Every box contains at least eight items which are all either minimally processed, natural and organic, low in sugars and "rich rich rich" in nutrients. Linwoods milled flax, sunflower, pumpkin and sesame seeds, and goji berries. I added a tablespoon to a very simple bowl of oats, which upped the flavor considerably. Somersaults. My local Caribou Coffee sells them, and I've always wanted to try 'em so I was quite ecstatic to find a bag in my Lollihop box. Salty and sweet, without all the gunk. The perfect snack, if you ask me. Seriously, these PopCorners were amazing. A-MAZING! Perfectly crunchy in every way, and full of flavor that draws you in and in and into the bag until you reach the bottom. I'm obsessed. Anyways. I could go on and on about all the treats inside my Lollihop box, but let's focus on the main point in front of us: Lollihop is a great subscription service that just might take away that "what should I snack on" stress. Every time you approach the box for a taste of what's inside, it's like a fun little moment where you feel like you're giving yourself a gift. Which you are, really, since everything inside it is pretty good for you. When you're living the fit life, it's truly important that every snack you sneak is 100% supportive of your healthy lifestyle. If you stay at home, well...you might have to hide the box somewhere if you live with others. Trust me, people are going to want what you got! And if you want what I got, then head on over to Lollihop and sign yourself up for a subscription. Again, totally worth it. Besides, don't you get enough magazines in the mail? It's time for something different! UPDATE: I've just been informed that as of right now, January 2012, Lollihop is no longer accepting new members, which is a total bummer...but only for the time being. They are returning to the "think tank" in an effort to better their offering, and I'm told that said offering is to include more products for children. This new mom gives that a big hurrah! If you head to their website, you can sign up for their newsletter which will absolutely inform you when subscriptions are available again. I think you should do it. It's a brutal world out there for those of us that drive cars on a regular basis. The cost of fuel fluctuates more than life itself, often to the point of no return in terms of our bank accounts. Fuel goes in, fuel burns. And that's that. That's also how our bodies work. Food in, food burns...and then we move and shake through our daily list of activities. 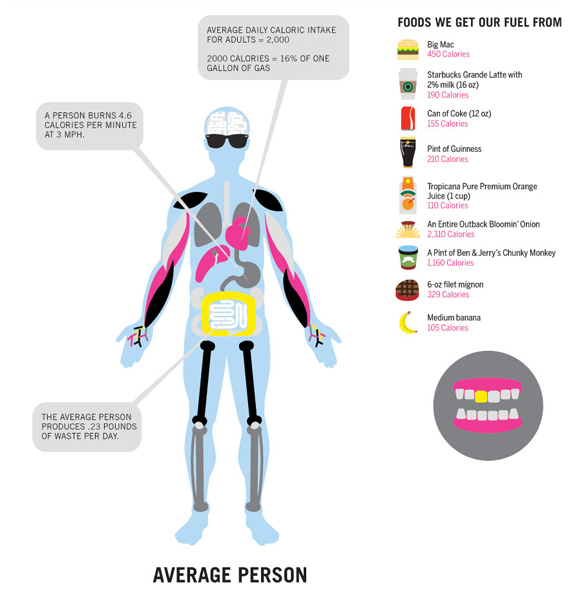 Lucky for us, often in contrast with our cars, our bodies are quite the machines. Efficient machines, I should say. Take a look at this comparison if you don't believe me. Question: What's your favorite way to burn fuel A) in your car, and B) at the gym (or wherever you work out)? Alright, time for a serious granola discussion. A) It's a great health food, however B) it's loaded with crap when you buy it off the shelf. (Generally speaking, of course.) Quick lesson to learn: Not all granola is good. Or good for you. But it couldn't be easier to make in the privacy of your own kitchen. That's why so many private brands are popping up in health food stores and farmer's markets across the country. People are figuring it out and consequently creating some competition for the big brands. But for real—I've made many a batch of my own and they've all been so good to me. For a while now, I've been sitting on a granola recipe from Eat, Live, Run. Jenna calls it "Elvis granola," however I'm not sure why. The main ingredients are peanut butter and chocolate chips. Obviously oats, too. So I think I'll call it Peanut Butter Chocolate Chip granola. You know, just because. Salty meets sweet in a satisfying way, I'd say. It's great on Greek yogurt, but also delicious right out of the jar. Or bag. Jenna's recipe makes a ton, so you might have to store it in something large. Or divide it among a series of jars and bags—a bag full of homemade granola makes for a great addition to the desk drawer snack bar. Speaking of Jenna, I made two small changes to her recipe. Feel free to print the original, or use mine which is below. 1) Preheat oven to 275F. Line two cookie sheets with parchment paper and set aside. 2) Simmer oil through cinnamon in a sauce pot over medium-low heat for 3-5 minutes. While simmering, mix dry ingredients in a separate bowl—except for the chocolate! 3) Pour sauce over dry ingredients and mix until thoroughly combined. Spread granola across the two cookie sheets and bake 40 minutes, rotating the pans from top to bottom at the 20-minute mark. 4) Remove from the oven and let cool completely. Add the chocolate. Question: Do you like to eat granola dry, or do you prefer to mix it with yogurt or milk? Do you have a favorite granola recipe? If so, link me! ...but Baby is already here! Our little Hannah Sophia was born on Tuesday morning at 5:15am after over 24 hours of labor. She clocked in at seven pounds and seven ounces, measuring 21 inches long. All three of us are doing well, despite our first night at home, which was last night. Were you wondering why there wasn't a Workout Wednesday this week?! I had every intention of writing one, but things happened a bit earlier than we thought they might. Luckily, I do have a series of posts written for you over the course of the next month. Hannah is currently sleeping soundly, all swaddled in her Rock n' Play—it's situated right next to my desk, so here I sit typing. I'm hoping to repeat this scenario as my energy levels allow for it. Don't worry, I won't forget about your Daily Dose of Fit. It just might not be so...Daily...for a few weeks. I am truly looking forward to keeping in touch, though. Well, as best I can until things at home settle down. Stick with me, won't ya? Until then, I think I'll snuggle my peanut. Just a few days ago, there was still a Christmas present in a corner of my kitchen that I hadn't yet opened. I mean, I unwrapped it day-of and subsequently jumped for joy...so what I guess I really mean is that I hadn't yet played with it. So I slid it out of the corner and up to the counter where I do most of my cooking, fully prepared for that first-use experience. 9-cup KitchenAid food processor, what! Oh, how I've wanted one of these in my life. My little Mini-Prep struggles with nut butters, so I haven't been able to make all the lovely and delicious nut butters I keep finding online. With this thing...watch out, bread. Get ready, apple. It's nut butter time in the Daily Dose household! Seriously, you know you're a grownup when you geek out over kitchen stuff. But I digress. Unboxing this thing was amazing. I felt like I was eight years old again and unboxing a brand-new Barbie. Let's get on with the nut buttering, shall we? As indicated, I've had quite the stockpile of recipes for some time now, so picking just one to try was fairly out of the question. I decided the only way to go about this whole experiment with the new processor was to experiment with a new recipe, too. So I picked two potentially great ones from said stockpile and devised a plan to combine them into one. 1) Preheat oven to 325F. Line a cookie sheet with parchment paper. 2) Mix nuts, honey and seeds. Spread across the parchment paper and bake for 15 minutes. Let cool for a few minutes (no need for the mix to be completely cold). 3) Pour the mix into your food processor and blend away for 10-15 minutes or until smooth. You'll have to stop and scrape the sides of the bowl every few. Have patience, it will come together! 4) When the mix is smooth, add the salt, cinnamon and vanilla. Process again until smooth. 5) It makes about a cup and a half, which you should store in an airtight container in the 'fridge. Question: Do you purchase nuts in bulk quantities? If so, from where? I am particularly interested in finding an online vendor with a great deal. Lemme know! "4 Exercise Tools for Under $20"